The Coodes’ team from our Launceston office enjoyed a great day at the Launceston Show on Thursday 24th July. 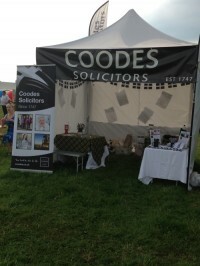 With their stand being situated near the main ring the Coodes’ team enjoyed speaking to existing clients and taking new enquiries throughout the day. This year Coodes had a full page advert featured in the show catalogue and a large banner attached to the main ring on the day.